There have been numerous articles over the past year about the need for organizations to be more innovative, about countries lacking in innovation and about the opportunities that a culture of innovation will deliver. But despite all of this rhetoric, most organizations still do not have a clear strategy for innovation. Though some organizations claim that Innovation is now one of their strategic imperatives, most have only created signs announcing Innovation and posted these throughout their offices. They display it prominently but nothing really changes. Employees see Innovation captions in their e-mail “in-boxes” and newsletters talk about its importance. Yet these organizations are no further ahead than before. Why? Everyone is talking about innovation these days. Every country, every company claims that innovation is a critical component of their future. Yet, innovation continues to be no more than a buzz word. We understand the need and importance for innovation. Some of our clients have started innovation committees to explore innovation and yet continue to lack a culture of innovation. They don’t know where to begin. How do they gain traction in Innovation? “Canada is losing at the innovation game. Yet, policy makers seem strangely unmoved even as Canada’s productivity stagnates, its manufacturing sector craters and its resource industries wait out the recession with the casual assurance that the next commodities boom will elevate them – and the country – from the dumps. Similarly, in the United States, the June 6, 2011 – US Council on Foreign Relations, June, 2011 said, “News of rising unemployment and the threat of a Moody’s downgrade puts the lagging economic recovery into sharp focus and puts pressure on the United States to spur innovations that boost global competitiveness. President Barack Obama’s 2011 State of the Union address stressed the need to “out-innovate, out-educate, and out-build the rest of the world” to remain competitive and “win the future.” While U.S. funding of research and development (R&D) has remained consistent at around 2.5 percent of GDP over the last thirty years (WSJ), sharp increases in spending by emerging markets such as China and India–as well as the global financial crisis and a need to sharply curtail U.S. debt– has put the United States in a potentially disadvantageous position. While most economists agree that the federal government must spur innovation to remain competitive, experts are divided over the best policies to achieve this. Innovation is more than just about creating new products and services. It’s about re-thinking and re-inventing that which we have always done. It is focussed on what the employees and customers haven’t even thought of yet will probably embrace, once provided to them. It includes structure and process, product development and service deployment. The big question is how do we create an environment where innovation is truly embedded in everything that we do. Start by creating a Steering Committee. They will create a vision for innovation within the organizational context. As they explore innovation within the organization they will identify the driving and restraining forces. This helps them to identify and overcome the risks and other barriers to innovation. As with all strategic planning processes the steering committee must create the innovation strategies and build the Strategic Innovation Plan. This will include a communication plan which will tell all employees in the organization why it is necessary to implement innovation at this time, how innovation will be defined in their environment and how the Innovation agenda will be carried out (through the execution of the Innovation Strategies). Finally, the Innovation Steering Committee will review the actions and processes required to implement the Strategic Innovation Plan. This will include the metrics for innovation. The Innovation Steering Committee must understand the characteristics of an innovation culture. 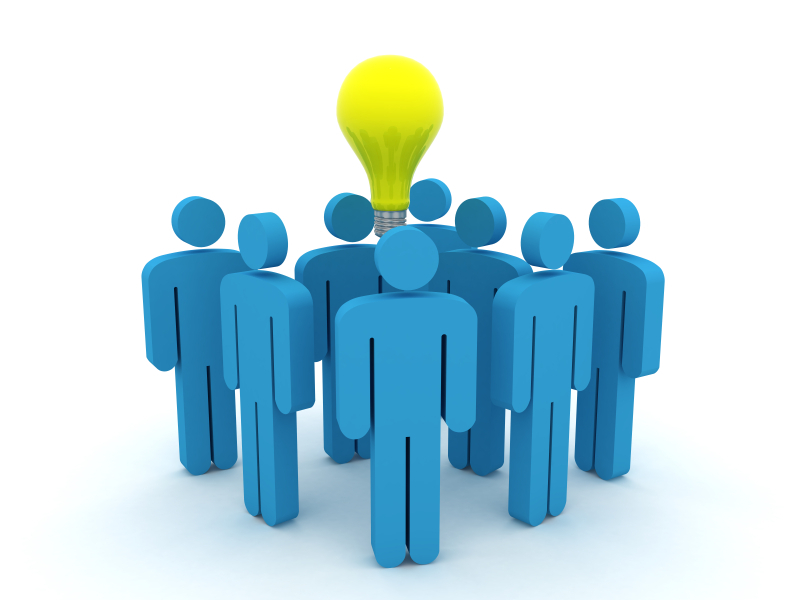 They will assess their current and ideal culture of innovation by using an Innovation Culture Assessment. The Innovation Steering Committee will identify the barriers to re-shaping their organization’s culture to be more innovative. This will help them in the identification of actions required to reshape their current innovation culture to move it closer to their ideal. Ultimately, they will be able to drive their organization into a culture of innovation where everyone understands the mandate and how an Innovation process will help them and their customers. This will be reinforced by integrating innovation and performance management so that employee’s on-going performance will include time spent on innovation as well as day-to-day work requirements. Finally, the Innovation Steering Committee will create values and principles that identify the unique approach to innovation in their organization. Organizations that are successful at innovation have created a process for innovation, recognizing that it is a long, not short, journey. They identify the training requirements for all levels of employees to ensure they understand the process of innovation and reinforce this through rewards and recognition for innovation. As with all work processes, it is important to measure the success of innovations. Otherwise, how do we know that we are on track in the journey? Innovative organizations understand the impacts of innovations on both their internal and external stakeholders and other customers. They are constantly generating innovations within their new, re-shaped cultures. High performance organizations create a culture of innovation and have an innovation process in place to help them stay ahead of the competition. A corporate innovation process becomes part of the innovation culture so that all employees know what is necessary to generate product and service innovations, process innovations and new economic models. Innovation happens everywhere: in industry, government, the arts, education, military and even religion. In business, innovation of internal processes and tools, (i.e., product development life cycle, systems development life cycle) may add more to the bottom line than revenues from new products and services. This has a direct impact on decisions that management makes regarding the application of an innovation process. The time has come to get busy with innovation; developing your innovation strategy, creating a culture of innovation to support it and implementing the process for putting it into practice. There’s no better time for it than now.